Think you already know Switzerland, with its snowy peaks, perfectly timed trains, and delicious cheese? Think again. We’re not saying that these famous attributes aren’t indispensable parts of the Swiss experience—but we have uncovered new ways to see a place that so many of us already know and love. Read on for our five favorite twists on quintessential Switzerland. And if you want an extraordinary trip to Switzerland, Wendy knows the right people to help plan it—ask her. 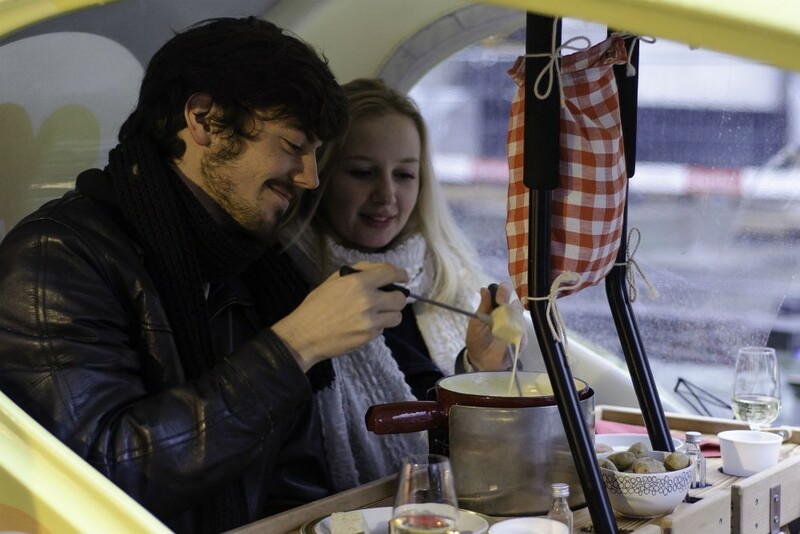 Of course you’ll want to try some cheese fondue when in Switzerland—it is the national dish, after all. But how about dipping your bread while being driven around in a rickshaw? In the small town of Thun, located between Interlaken and Bern, you can hire a “Fondükscha” to take you past the main sights of this beautifully intact medieval village while enjoying fondue, wine, cherry brandy, and tea. Swiss rickshaws are designed for the elements, with a closed-cab structure, sheepskin seat covers, and warm blankets to keep you cozy throughout the excursion. 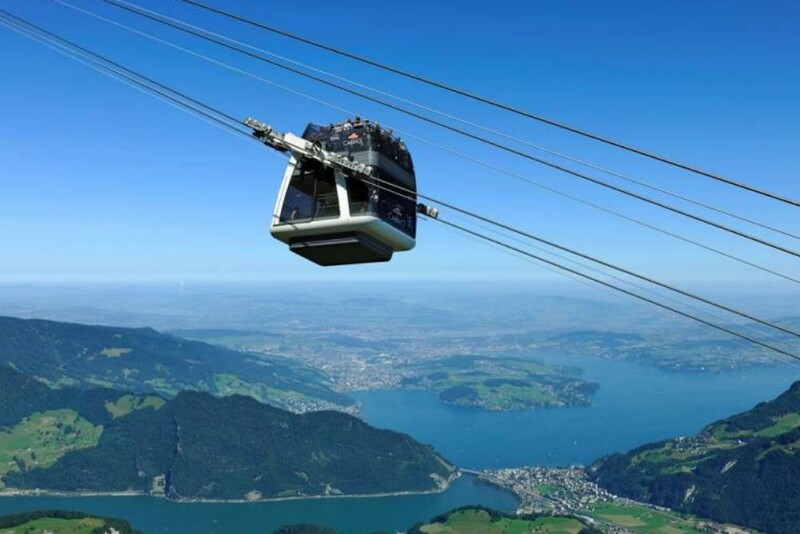 You don’t have to be a world-class athlete to scale many of Switzerland’s majestic peaks; cable cars and funiculars will do the hard work for you. To reach the summit of Mt. 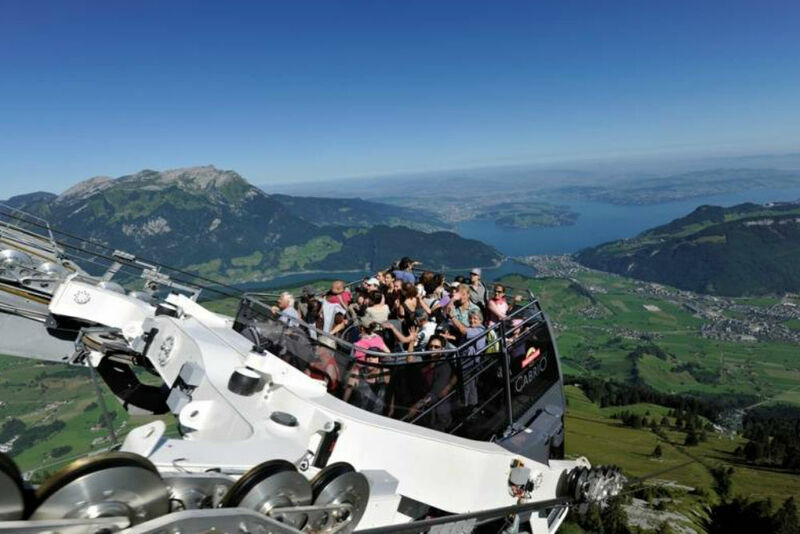 Stanserhorn, in fact, you can hop aboard the world’s only convertible cable car, which runs throughout the summer. From the open-air top deck, enjoy 360-degree views reaching into France and Germany—and no cables to impede your sightlines. At the summit you’ll find a network of hiking trails and a revolving restaurant. The UNESCO World Heritage stamp usually brings to mind ancient ruins or historic monuments. 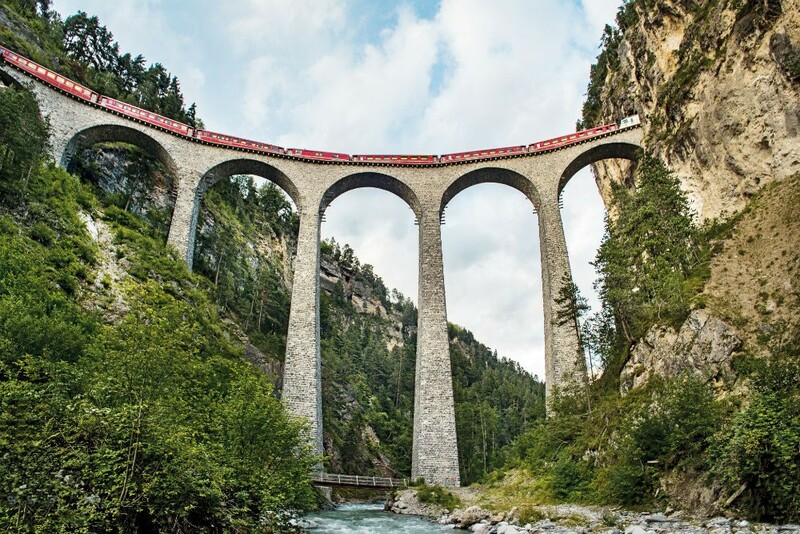 But in the case of the Bernina Express, it’s a train route that has earned this honor. Board the Bernina in St. Moritz, and three hours later you’ll have journeyed past glaciers, over the highest Alpine pass crossed by a train without a tunnel, and down into Tirano, Italy, where the snow-capped peaks outside your panoramic windows are replaced by Mediterranean palms. It’s a wonder that American visitors haven’t yet discovered Appenzell; though just an hour from Zurich, the region is quintessential Switzerland, loaded with gorgeous alpine vistas and a rich cultural heritage. You’d hardly be surprised to see Heidi herself come bounding across the rolling hills, dressed—as many locals today still are—in traditional attire. 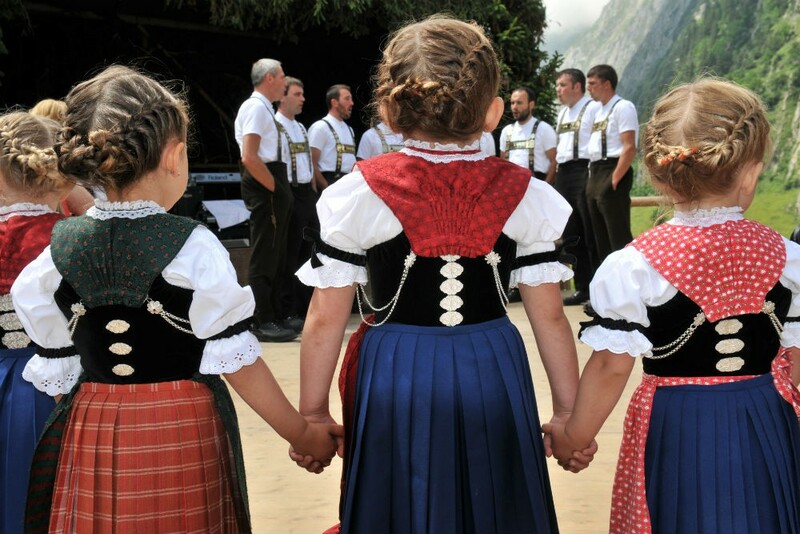 Come in August and you’ll get to enjoy Ländlerfest, one of Switzerland’s premier folk music gatherings, with performances by both well-established groups and talented young musicians. Wishing to add some horsepower to your ski vacation? 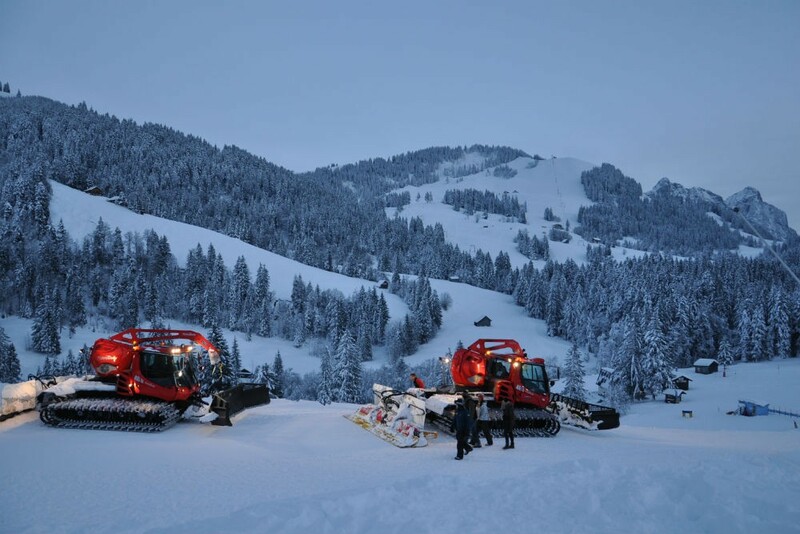 In the resort region of Sattel, you can co-pilot a snow grooming machine, with nothing but the enormous machine’s headlights to guide your way through the darkness of night as you prepare the slopes for the next day’s skiers. Finish your task by midnight and you’ll be rewarded with dinner at a mountainside restaurant. What unexpected Switzerland experiences are we missing? Tell us in the comments below! And if you want to start planning your own Swiss getaway right now, ask Wendy for a travel specialist recommendation.